A massive air plant! 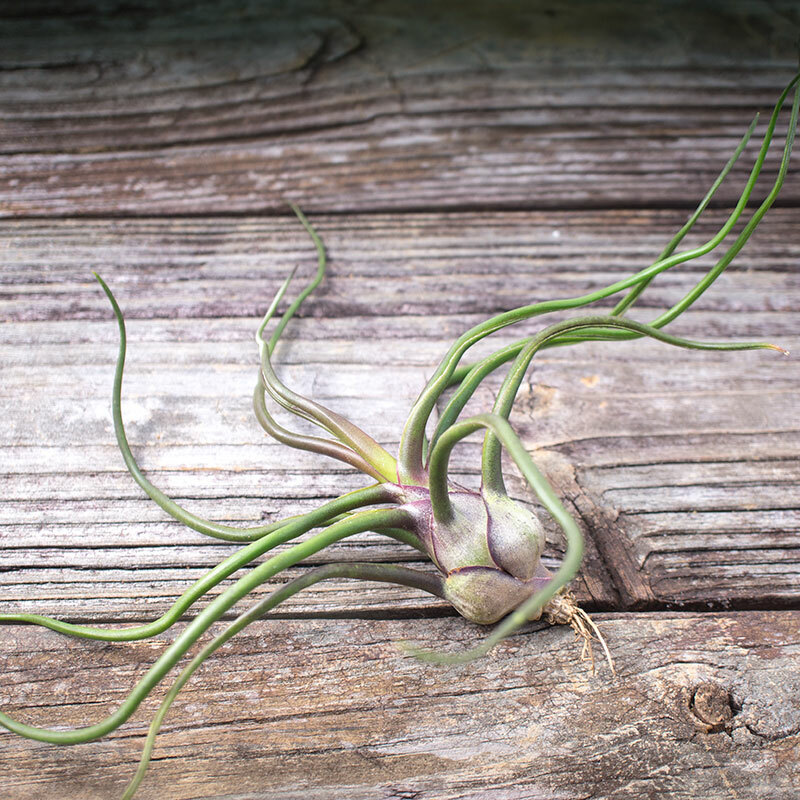 Tillandsia Bulbosa Belize can reach 18 inches in size - double the size of "regular" Bulbosa. A magnificent plant, tightly packed, sleek, and colorful. Deep dark greens, royal purples, and flushed of red decorate this sculptural beauty. Native to Central America (Belize!) Tillandsia Belize air plants love heat and humidity. Forest dwellers, they prefer filtered or shady conditions to full sun. Your plant will darken to a dark chocolate brown / purple if left in too much sun, letting you know it's in the wrong place. 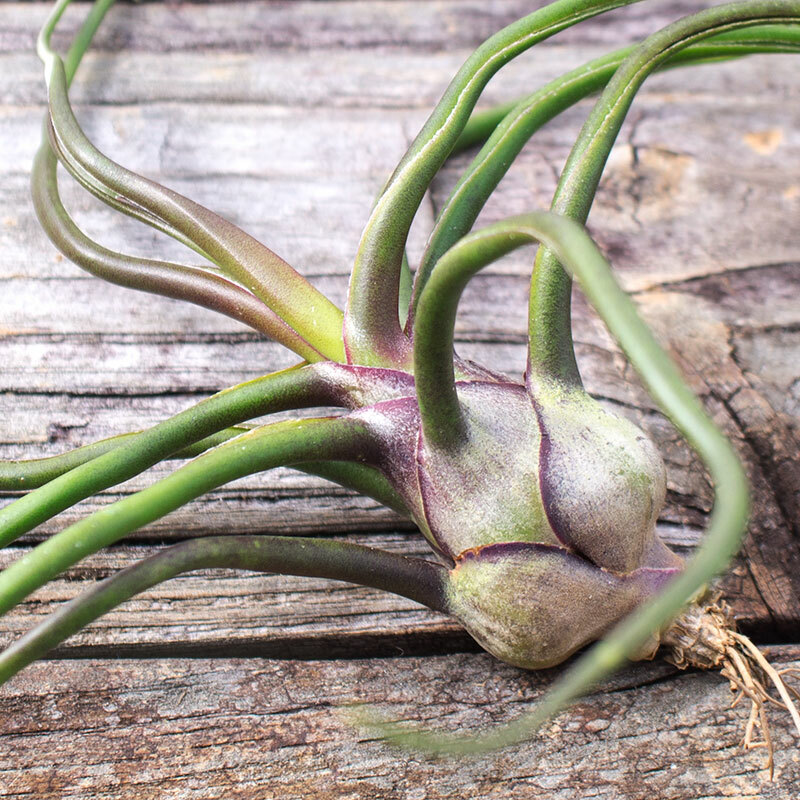 Bulbosa Belize, just like Bulbosa love water and will do best with daily misting or in dry climates twice daily misting. You can also run them under a faucet if you have no mister. We suggest three monthly 15 minutes soaks as well. One of those should contain small amounts of fertilizer.